Ask her loyal clients what sets Jennifer Friedman Ackerman apart in a competitive marketplace, and you'll often hear about her effortless ability to make everyone feel like they are her sole priority and the most important part of her day. Attentive and personable, she truly believes in creating trusting partnerships by making sure clients are fully informed and supported through every step of the process, with confidence and honesty. Raised in a family of commercial brokers in North Dallas, she offers an impressive familiarity with Dallas' great neighborhoods and suburbs including: Lakewood, M-Streets, Lake Highlands, Preston Hollow, Briarwood, Devonshire, Midway Hollow, Uptown, North Dallas, Plano, Richardson, Frisco, Allen and McKinney. Having worked with both buyers and sellers at all price points, from $100,000 condos to multimillion-dollar estates, she understands every transaction is different and requires a tailor-made plan for success. Jennifer’s membership in exclusive network groups such as Dallas Pacesetters and The Industry Elite Realtors (TIER) gives her the inside track on market knowledge and hip-pocket listings in Dallas’ hottest neighborhoods. As a tech-savvy agent, her social media skills help keep her listings and buyer needs in front of the area’s top agents. She is committed not only to providing clients with the most innovative marketing strategies, but also facilitating and closing deals any place, any time. During her time with Virginia Cook, Realtors she was consistently ranked among the top 10 agents companywide. In the last four years alone, Jennifer has averaged about 50 transactions and more than $20 million annually. 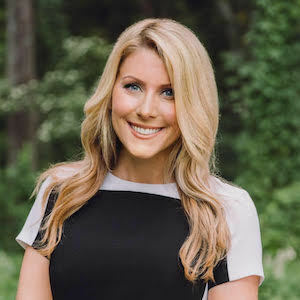 It's no surprise she's been recognized by D Magazine as "Best Real Estate Agent & Top Producers in Dallas" as well as a Top Realtor by both the Lakewood & Lake Highlands Advocate Magazine. Jennifer graduated from Texas Tech University with a bachelor's degree in Finance. She resides in Lake Highlands with her husband, young daughter, Harper, and their rescue dog, Brody. A breast cancer survivor, Jennifer is passionate about sharing her story and being a positive influence to other young women battling the disease. Jennifer’s combination of professional expertise and personal strength have made her an unstoppable force in the Dallas Real Estate market, and if you ask her, she’d say she’s just getting started!